Kesar, chopped nuts n raisins. Add the chopped nuts, raisins and cardamom and when it cools add the powdered sugar. 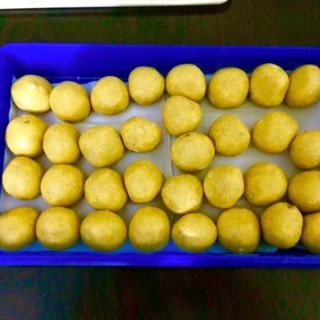 Mix well and make laddus. Once all the laddus r made u may put some nuts n kesar on the top of each laddus.